The truth about the watch buying process is that it is different for everybody. The reason is that people will make decisions based on a hierarchy of priorities. For some, they will narrow their search by price, size, or color. Others will choose a specific genre of timepieces, the most popular of which is the dive watch. If the latter describes you, then you’re in luck. Below, we explain what to consider when buying your first dive watch. The term “dive watch” is a bit of a loose one, but almost all of them incorporate the following elements. 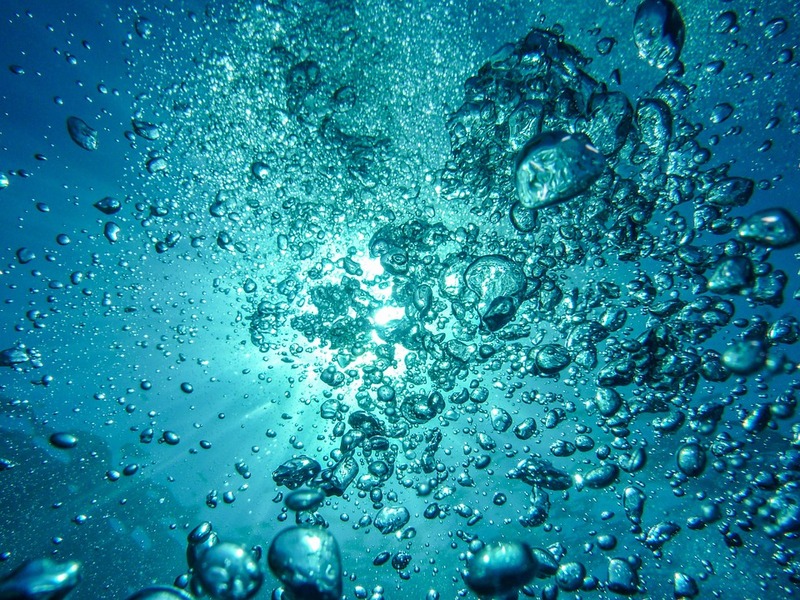 Water Resistance – As you can assume from the name, dive watches must be able to withstand water pressure. For this reason, the minimum resistance starts at 100m, which is suitable for snorkeling and surface water activities. On the more extreme end, many dive watches are resistant up to thousands of meters, which is both a feature for scuba divers and a signal of incredible craftsmanship. 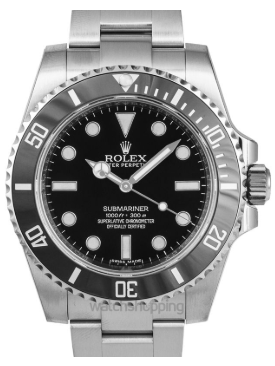 Rotating Bezel – Scuba divers must have an idea of how much time they have spent underwater because they swim with a limited supply of oxygen. While they usually use digital products to do so, they can also use the bezel of a dive piece as a rudimentary backup timer. Luminescent Dial – The deeper you get into the water, the more you need a luminous dial to check the time. This feature is useful at night as well, whether you’re on the water or not. Superior Materials – Dive watch manufacturers envision a timepiece that will get a lot of use underwater and in other rough conditions. The result is them building their products out of excellent materials that resist rust, corrosion, and magnetism. Now that you know what a dive watch is, you can discern between authentic ones and those that only look the part. Now, onto some factors that will help you make a specific decision! 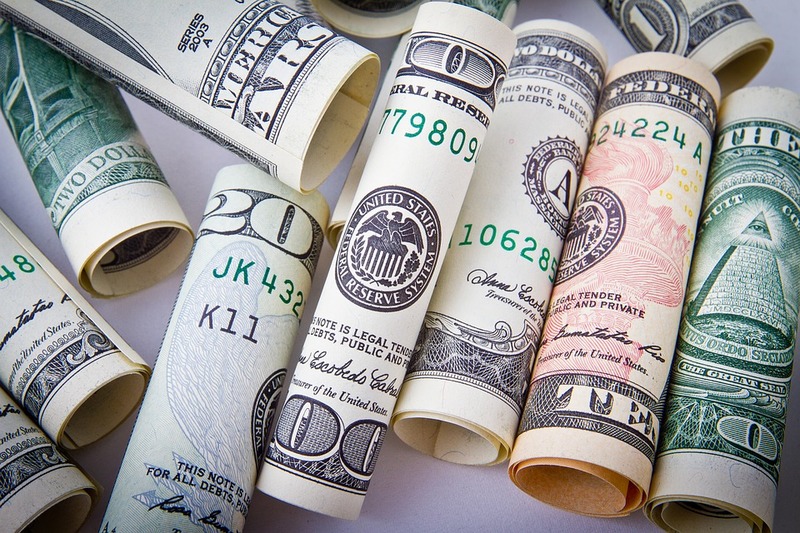 The smartest move you can make is choosing your price range before browsing. That way, you won’t end up drooling over a Rolex when it costs twenty times more than you’re willing to spend. At the lower end, you can buy a solid dive piece for around $100. What you’ll find is that while these products are sometimes limited, they are also surprisingly attractive and functional. On the other end, there is almost no upper limit to how expensive a dive watch can be, though most of them are under $50,000. A few features that you’ll get as you purchase a more expensive piece are greater water resistance, better materials, excellent reliability, and a more sophisticated movement. Next, think about what type of movement you want. The two primary options are quartz and automatic. The former describes a piece that runs on a battery and has relatively simple inner workings. The latter characterizes watches with tiny machines inside of them that operate on kinetic energy, rather than a battery. The one you choose will depend on your taste. In general, watch enthusiasts prefer or even demand automatic movement, while the average consumer might not have an inclination. Next, decide what you’re going to do with your watch. If you are a scuba diver or someone that wants to most exceptional craftsmanship, you’re going to want impressive resistance capabilities. If not, you may opt for one that only functions up to 100m or 200m. Luckily, manufacturers test every timepiece meticulously and will tell you precisely how deep you can take them. 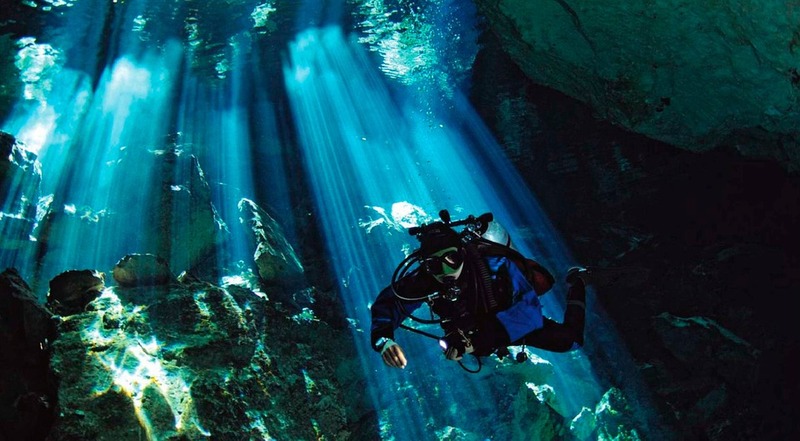 Most dive watches have roughly the same aesthetic. They have a moderate size, bracelet strap, relatively simple dial, and ceramic bezel. Still, there are many choices to make within that general look and a variety of pieces that break out of the typical mold. Two of the most common areas of customization are the strap and bezel coloring. For the former, you can choose between a conventional bracelet and a sportier rubber or NATO strap. For the latter, you can opt for understated black or a flashier color. Though there are hundreds of respectable companies out there, the following are three brands that tend to stick out above the rest. 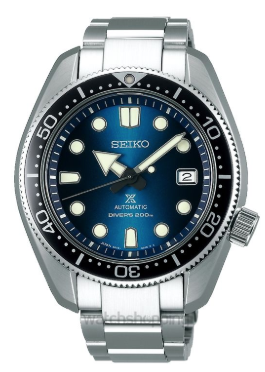 Seiko – If you’re looking to spend around $1,000, Seiko is good option! They make excellent dive watches at a variety of price points and with both movement options. If you don’t like the look of any of them, Casio and Citizen are two more excellent brands that dabble in the dive space. Omega – Long considered Rolex’s little brother, it’s about time Omega gets their own share of respect. 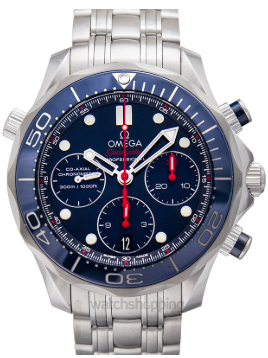 The reason is that they consistently produce fantastic watches, many of which are dive pieces. 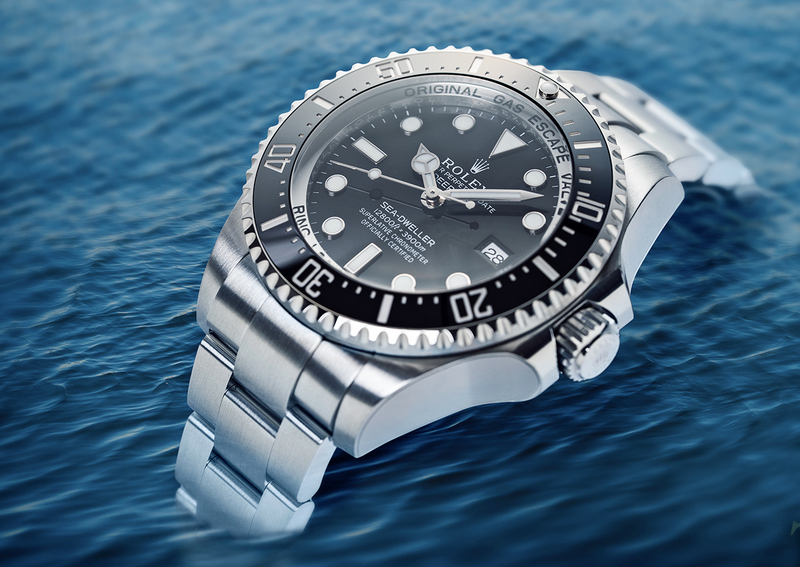 Rolex – Lastly, we have the most iconic dive watch brand of all. Plain and simple: You can’t go wrong when you choose Rolex. Now that you’ve read this guide, we hope you know what to look for when buying your first dive watch. To review, the essential elements of your decision are price, movement, aesthetics, water resistance, and brand. Once you have those points nailed down, you can make your purchase with clarity and confidence!